The Main port of Zanzibar handling international trade for Zanzibar. About 95% of Zanzibar Import and Export passengers through this port. Malindi Port is the main entry point handling International Trade for the Islands of Zanzibar. 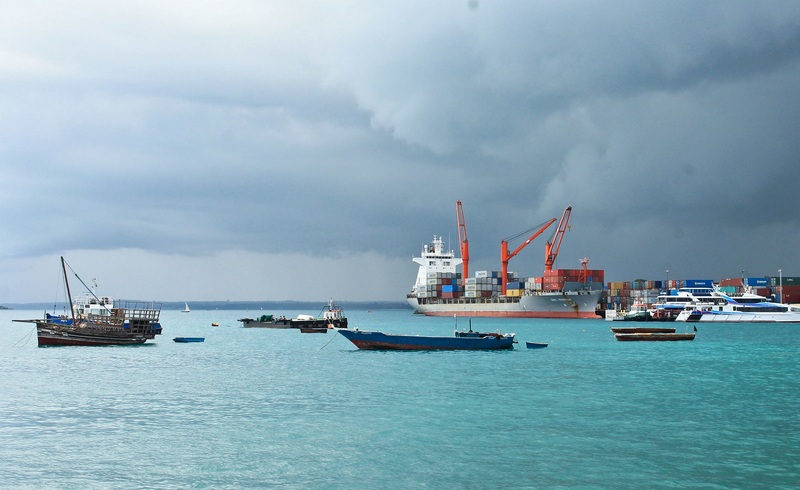 About 95 percent of Zanzibar imports and export passes through this Port. The Malindi Port has the busiest passenger terminal in East African Region handling an average of 1.5 Million people per year. This Port has one berth for large foreign going vessels, with a quay length of 240m and one for coasters with 113m length, it can accommodate first Generation Container Vessels with 10m draft. There is no shore cranes on the wharf, ship gears are used to offload and load cargo. After completion of Rehabilitation Project, which was funded by EU in 2005 - 2008, the port operations improved considerably, between 2008 and 2010 container traffic increased at 30 percent per year, this is due to the growing trend of containerization of Cargo at Zanzibar Port. About 40 percent of Import Cargo is for Tanzania Mainland Market and the rest is for Domestic Consumption. One Berth for Deep Sea Vessels One Berth for Coaster Vessels. Total Quay Length: 400-meter Berth NO.1: Draft 11- 8-meter Berth NO.2: Draft 7- 5-meter Capacity to accommodate up to 20,000 DWT Vessels. Handles 2nd Generation vessels of up to 190 m length. Annual Throughput - 50,000 Teus and 150,000 Tons of General Cargo.